To learn more about the GATA program, contact your CCRI academic adviser at 401.825.1240 or advising@ccri.edu. 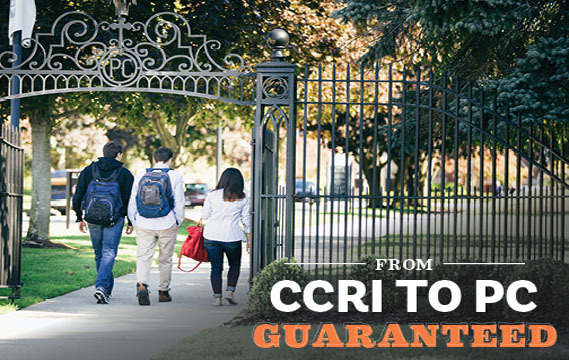 The Guaranteed Admission and Tuition Agreement (GATA) between the Community College of Rhode Island (CCRI) and Providence College School of Continuing Education (SCE) is for current CCRI students who have earned less than 30 credits thus far at CCRI. We’ll be in the cafeteria at CCRI campuses with all the info you need to know about the GATA program on the below dates. Stop by, find out more, and get the ball rolling to apply! 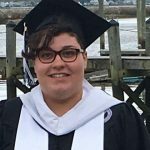 A 33% discount on SCE tuition – which means participating students can earn a bachelor’s degree from Providence College for significantly less than the cost of a four-year state college. The SCE tuition discount is good for five years from the date of your enrollment at SCE. To remain eligible for the discount, you must maintain at least a 3.0 cumulative GPA and earn a minimum of 12 credits per academic year in the SCE. Details are below. Complete and sign the GATA application, and submit it to the CCRI Department of Advising and Counseling.